Double-booking, lost appointments, no-shows, and salon scheduling conflicts all lead to your clients not having the ideal experience, which can be an owner’s worst nightmare. In the salon industry, customer relationships are crucial to keep your business afloat. Oftentimes, clients remember the minute details of the experience instead of the entirety of the service itself, and these small details influence their decision to stick with your salon or not. Consistent issues with appointments can ultimately hinder client relationships, so how can salon owners prevent problems like this from happening and create the ultimate customer experience? These are common salon scheduling risks that you must learn how to mitigate when running a salon. Here are a few ways to create an efficient salon schedule that not only keeps you organized but also elevates your business. Use integrated appointment scheduling software. Clients can book online. Clients no longer have to wait for a salon to open up to call and make an appointment. How do clients book appointments online? A client has access your salon’s calendar on the website, and schedule an appointment using the scheduling system at any time. If clients need to schedule multiple salon services, they are able to easily add on what they want to one appointment. Software configures with your calendar. 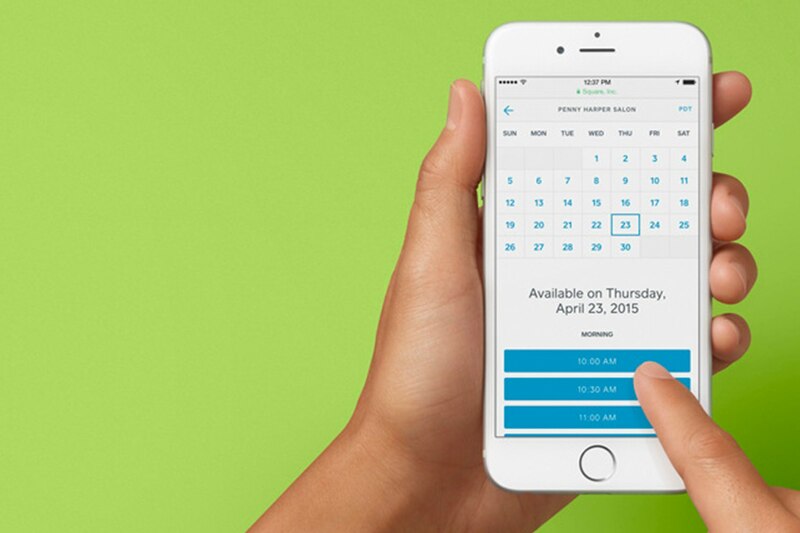 Online booking syncs directly with your calendar and only shows your availability to clients. This prevents any double bookings or errors when making an appointment. Hair stylists are able to create schedules on a weekly basis. This override hours feature allows your employees to be more flexible with their schedule and take in extra appointments. You’re notified of new appointments. Once a new appointment is booked, your salon is notified. You can accept or reject the appointment, so you still have full control over your calendar. The scheduling software is integrated with your salon point of sale. 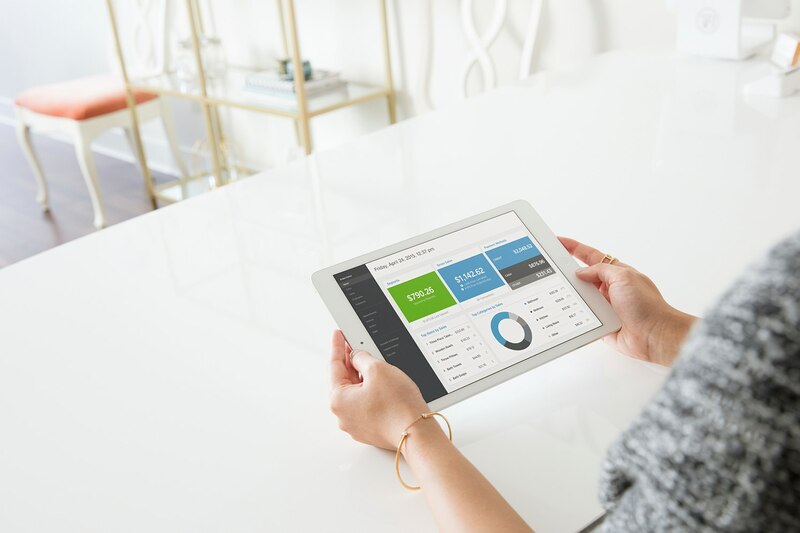 With Square Appointments, you have a custom-build POS that helps you manage appointments and payments all from one app. This can save you time, keep you organized, and create a convenient experience for your employees and clients. Scheduling software can be accessed anywhere. A client can access your booking software online, and you can run your business on mobile, an iPad, a desktop, or any other compatible devices. Review your salon schedule every morning. Whether you are enjoying a cup of coffee at home or riding into work on the train, set aside time to review your salon schedule each morning to better prevent any issues that could arise. Knowing your schedule, along with the type of appointments booked, is a great calendar management strategy can help you prepare for what’s coming. No-show appointments and last-minute cancellations can pose a huge risk to your salon. Not only is it a letdown for your team — which could affect the work atmosphere — but it also substantially affects your schedule and overall sales potential. To reduce no-show appointments, it is common for salon owners to invest in a no-show protection policy. With the right salon scheduling software, you’re able to require credit card information from clients prior to making an appointment. While this option does not charge a client’s card immediately, you can elect to apply a fee if someone misses an appointment or does not cancel by a designated time — usually 24 to 48 hours before the appointment. Beyond a basic protection policy, there are a few other ways to decrease no-shows for your hair salon. Promoting pre booking is a great way to establish loyalty and create consistency for your clients. If your clients are used to coming in once a month on a specific date, they begin to make it part of their routine and are far less likely to cancel. You can do this by offering to rebook while clients are paying or sending them an email shortly after their service. As a salon owner, it is important to realize that no-show appointments and cancellations can be an honest mistake, but you can never forget their negative impact on your business. Whether you implement a three-strikes policy or use a prepayment feature, always make a point to follow up with no-show clients and figure out ways to prevent the same issue in the future. Creating a clear communication flow with your clients can help keep your salon on schedule. While it may feel tedious, a friendly appointment reminder can significantly decrease missed appointments as well as build rapport with your client. By setting up a text reminder or calling each of your clients individually, you can confirm their appointment details and briefly discuss any personal matters. Custom messages or calls are a great way to build relationships and understand your clients better. In fact, many stylists keep notes on each client to refer to during a confirmation call as well as the appointment. It’s important to reach out to clients several days in advance, so you can better prepare for any changes and optimize your salon schedule. Keep your client’s information up to date. Keeping accurate, up-to-date records of your clients serves a few purposes. The best way to do this is to find a robust customer directory system or CRM that allows you to create client profiles with their contact info and notes. An obvious advantage of having current information is being able to quickly contact clients in case you need to reschedule their appointment or if you have additional questions. And with a customer directory service, you can learn how to add client notes regarding past services, which can help jog your memory when they return. Depending on the software you choose, your customer directory may even be able to store payment information for regular clients. This makes the entire checkout process seamless and efficient. 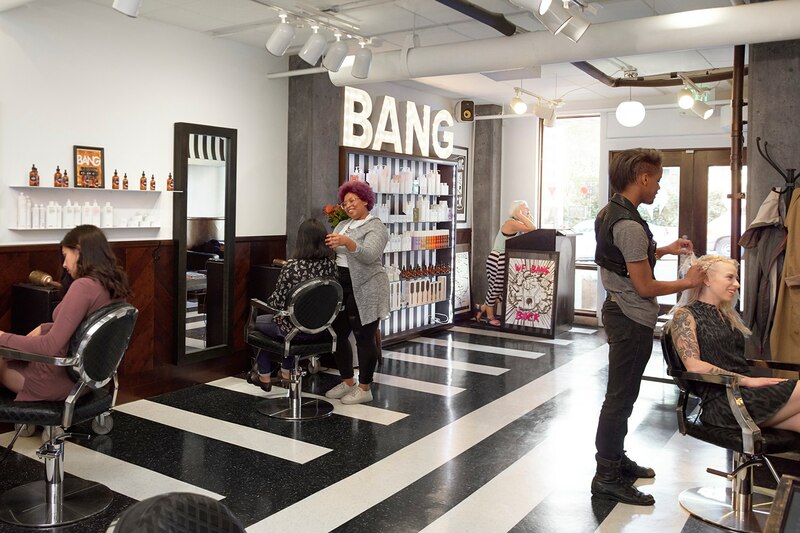 While your goal as a salon owner is to build a solid return-customer base, walk-in appointments are a huge opportunity when you first open a salon and can offset deficiencies in your salon schedule. At the end of the day, empty seats mean a loss of revenue for your salon, but that’s where walk-in appointments can step in. That being said, when a new client walks into your salon and is given a wait time of two hours, you can bet they won’t stick around. So how can you generate more walk-in revenue opportunity and create a better customer experience? It is important to set aside time on your calendar dedicated to walk-in appointments, even on your busiest afternoons. Many salon owners might be hesitant to do so, but your store will reap the benefits (including new loyal clients). By reviewing your salon’s reporting and analytics system, you can assess busy hours and have a few of your employees block off those times to dedicate to walk-ins. Take walk-in clients that can be turned quickly — like a men’s haircut — so you can make the most of the time. Become more efficient with your services. The time a client is in a seat depends on the service requested and the client’s hair. While you may not be able to control the latter, it is crucial for your employees to move quickly and efficiently. First, when you decide on the services to offer, be specific and give the client many options in your salon scheduling software. The more specific you can get with hair services, the easier it is to plan out a salon schedule. For example, give your client three options for a haircut: short, medium, long. Differentiate a partial versus full highlight when giving color options. All of these small variations can help you determine the amount of time one client will be in a chair. It is also important to assess processing times for certain services. You should think about how long a service like balayage takes to process, for example, and whether that processing time turns into an opportunity. Some experienced hair stylists can fit a haircut in during another client’s processing time. This, however, should only be implemented with experienced, comfortable stylists. Continuous training can also help employees improve their skills and ultimately speed up the time clients spend in the chair. The secret to the success of your hair salon is happy, loyal clients, so keep them top of mind when creating your schedules. Pushing limits by overbooking leads to tired employees and irritated customers, so learn how to create an optimized salon schedule that works for everyone.